Bishop Mitchell G. Taylor has lived in and around Queensbridge Houses for most of his life. In 1991, he was installed as Senior Pastor of the Center Of Hope International (COHI), a non-denominational church adjacent to the Queensbridge Houses. For over a decade COHI has provided a safe place for hundreds of children in its after-school program and has fed thousands of families each year through its Bread of Life food pantry. In 2004, convinced that a single church would not be able to mitigate the mammoth issues facing public housing residents, Bishop Taylor founded Urban Upbound (Formerly East River Development Alliance known as “ERDA”). 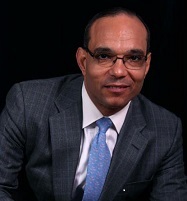 In founding Urban Upbound, Bishop Taylor has created a true alliance of local religious leaders, government officials, educators, business owners, and residents all working together to affect neighborhood improvement and expand economic opportunity for the 30,000 residents living in Queensbridge, Ravenswood, Astoria, and Woodside public housing developments. Urban Upbound’s key programs include Workforce Development, College Preparation, Financial Education and Counseling and Community Revitalization. In April 2010, Urban Upbound opened the Urban Upbound Federal Credit Union (FCU) – the first new credit union in NYC in 10 years, the first in Queens in 30 years, and the first chartered nationally in the Obama administration. Bishop Taylor has been profiled by the New York Times, CNN, National Public Radio, and other leading media outlets for his leadership around public housing, and has received prestigious awards including the New York City Public Library’s Brooke Astor Award, NYC Neighborhood Achievement Leadership Award, and the Jewish Community Relations Council of New York Martin Luther King Award. He was also a participant in the United Way Executive Fellows Program, and was chosen to participate in the highly competitive Achieving Excellence in Community Development program led by Neighborworks and Harvard University Kennedy School of Government. Bishop Mitchell Taylor is the author of Unbroken Promises, published by Whitaker House (2003).